So, your kiddo's got a pretty big mission this Halloween. He or she is taking a trip to Wakanda, and they're planning on saving the day! We're sure they'll want to have a premier costume for when they suit up as the Black Panther, and luckily, we've got them covered with tons of great choices for just that scenario. But, we wouldn't want them to fly all the way to the secret country without all of the required accessories and gear! We've got an easy solution for that, at least when it comes to covering the hands. Just use these Marvel Black Panther Gloves for Kids! Designed to match the Kid's Black Panther Costume these gloves will put the finishing touches on your child's authentic Black Panther costume style. 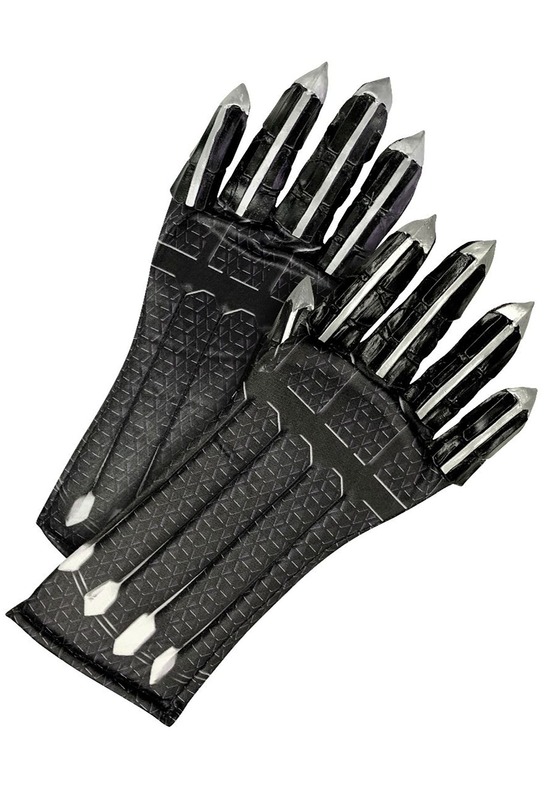 This pair of Black Panther Child Gloves are Marvel officially licensed. Featuring a polyester fabric base with padded cuffs and attached vinyl accents on fingers, the soft molded claws have painted metallic accents for extra effect. Printed and stitched with extra detail on the cuffs, they're sure to be a stand out addition to any kid's Black Panther Costume.